Coping up with the ever changing needs, we strive to bring our customers the absolute quality. 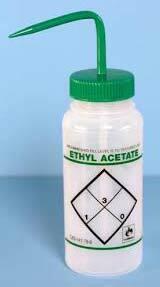 We as a Manufacturer, Supplier and Exporter are offering the flawless range of Ethyl Acetate Solvent to the customers. Its high quality ensures fine performance. It is processed in compliance of standards and parameters set by the industry. We keep utmost care of safety as well. Hence, we are able to deliver the excellence on offer.